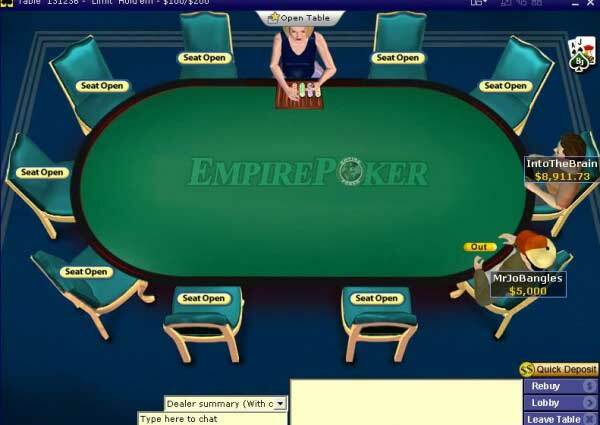 Empire Poker has closed down and is recommending players create an account at Party Poker. All links will redirect to Party Poker. Empire Poker, along with Party Poker and Bwin, has joined forces to create the largest European-based online poker network in the world. Before UIGEA legislation came about in 2006 these two sites were known as the biggest in the world. Even now they are still the third largest poker room on the planet. The consequences of Black Friday have attracted even more players to Empire Poker. After navigating to EmpirePoker.com, you will be prompted to download their poker software. This process is short and sweet, taking only minutes before the program will be up and running. The installer is only 5.3MB and takes mere seconds to download. Unfortunately, Empire only offers English as their download language which can pose some issues for their European contingent. 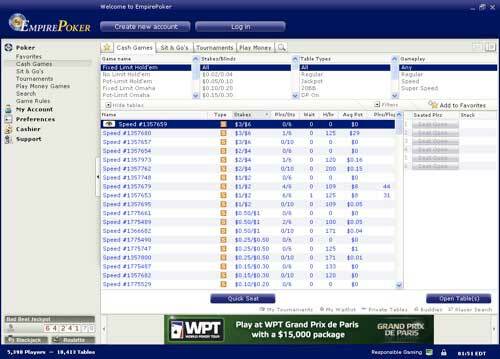 The software at Empire mirrors Party Poker’s in that is is simple, smooth, and effective. The only difference between the two sites in Empire allows just four tables to be played at once while Party Poker members can run up to 18. The lobby is simple and makes navigating between games, stakes, and buy-in levels quite easy. You can find your way to the cashier or contact support directly through the lobby. The software is being constantly updates and improved including the addition of more servers to insure game play runs as smoothly as possible. EmpirePoker is a great room with a lot of action, try the EmpirePoker Download now!